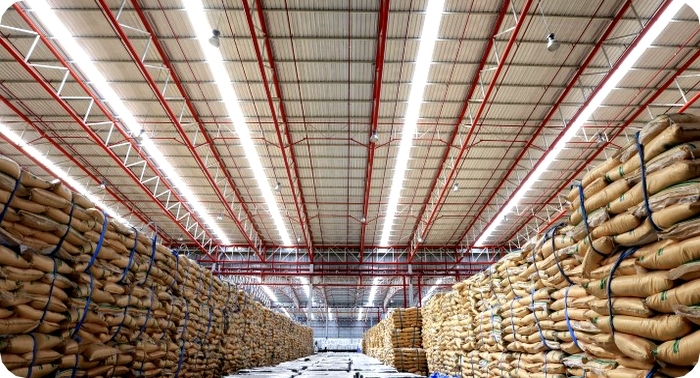 Storage of raw materials, part finished and finished products benefit from a fully climate controlled environment. We have a range of desiccant dehumidification solutions for storage in chilled stores, tent stores and for products pneumatically transported and stored in silos and during haulage. Apart from some fluids, most products are insensitive to fluctuations in temperature whereas variations in relative humidity have a destructive impact. By controlling the humidity and keeping the storage climate constant year-round, a high product quality will be maintained, hygiene is improved, waste can be reduced and a longer shelf life is secured. 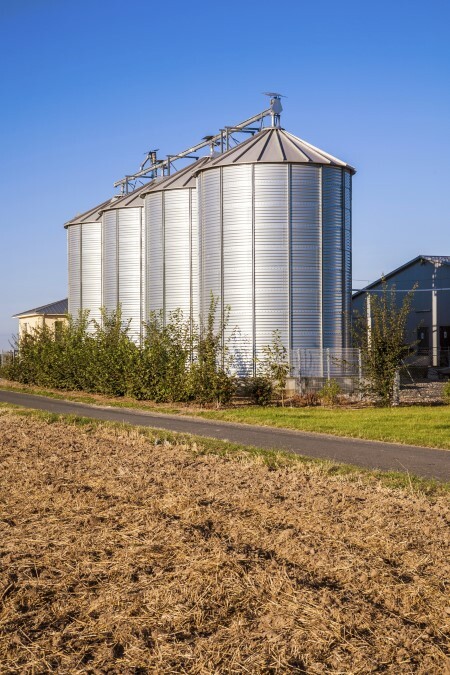 Protect bulk powders and sensitive goods such as flour, sugar, salt and cereals from damp air and moisture damage in silos and pneumatic transportation systems. Condensation and humidity in silos and pneumatic transport system costs thousands due to additional cleaning, product waste and mold growth. Adding Munters desiccant dehumidifier solutions to silos and pneumatic transportation systems, the bulk products will remain free flowing, reducing waste and the need for costly cleaning. In silos the dry air will prevent condensation in the top of the silo, hereby avoiding mold and contaminating condensation dripping onto the product.